UNIT has never had it so good. Well, maybe not the UNIT personnel who keep sacrificing their lives for the good of planet Earth repeatedly but certainly in terms of storytelling. Previous boxsets have been high in quality and drama but up until Cyber-Reality none have reached this level of excitement or sheer mind-blowing fun. Spinning out of the Twelfth Doctor era – this version of UNIT having notably recently faced off against the Cybermen in Dark Water/ Death in Heaven – Cyber-Reality manages to epically sweep across four hours as if it were the easiest thing in the world for a drama to do. What starts as an investigation linked to the clandestine organisation, the Auctioneers soon turns into something far more disturbing. Behind hostage situations, in a virtual world as well as trips to another planet in another universe, lies a far deadlier threat to humanity than was realised. The Cybermen are back and this time, they don’t have any silly plans including rainwater and graves. For any of you fretting, the Auctioneers are barely a part of this story. Happily, their backstory and motivations, as with all the characters in this adventure, are easily accessible for those not necessarily up to speed with recent UNIT stories. Game Theory and Telepresence form a powerful first act, with menace and foreboding seeping through the stories. They’re fun enough but listeners know what’s coming and it’s from Code Silver that things taken an even bigger leap into producing a real blockbuster. The Cybermen in this story, and it’s following one, Master of Worlds, are as good as the Cybermen ever have been. They’re clever, logical, terrifying, cold, and utterly undefeatable. Probably. Beyond the excellent turns from Jenna Redgrave and Ingrid Oliver, who are always brilliant and never fail to deliver one of the greatest UNIT teams in any media format, Nick Briggs pulls it out of the bag with his Cyber performance. His Cyber troops have a largely similar feel to the latest model last seen 2017’s The Doctor Falls but it’s the new Cyber Leader in which Briggs offers something truly special. This is by far the most menacing and intelligent Leader that the world of Doctor Who has had for a long time; each moment with him is fascinating. His voice is also something new, a mix of original Mondasian with new ‘upgrade in progress’ thrown to allow a hint of humanity to bleed through the cold, robotic amalgamation. It’s something a bit special and well worth a listen. 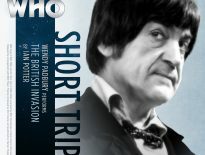 As if things weren’t good enough, halfway through the invasion of Earth, the War Master drops by for a spot of bother and ramps the excitement factor up to levels that seem criminally good for a Big Finish box set. Derek Jacobi shows once again that he will always be the Master and his teaming with UNIT in Master of Worlds feels like a true natural successor to the good old days of the Third Doctor and the UNIT family. Big Finish always manages to pull something extraordinary out of the bag, month in and month out, but UNIT: Cyber-Reality can happily sit as boxset of the year without having to worry about whatever is released after it. 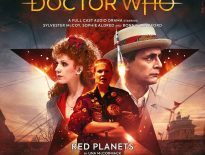 Bring up your app, go to the Big Finish website, pop into Forbidden Planet: whatever your style for purchasing may be, then do yourself a favour and pick up a copy of this story. You won’t regret one second. 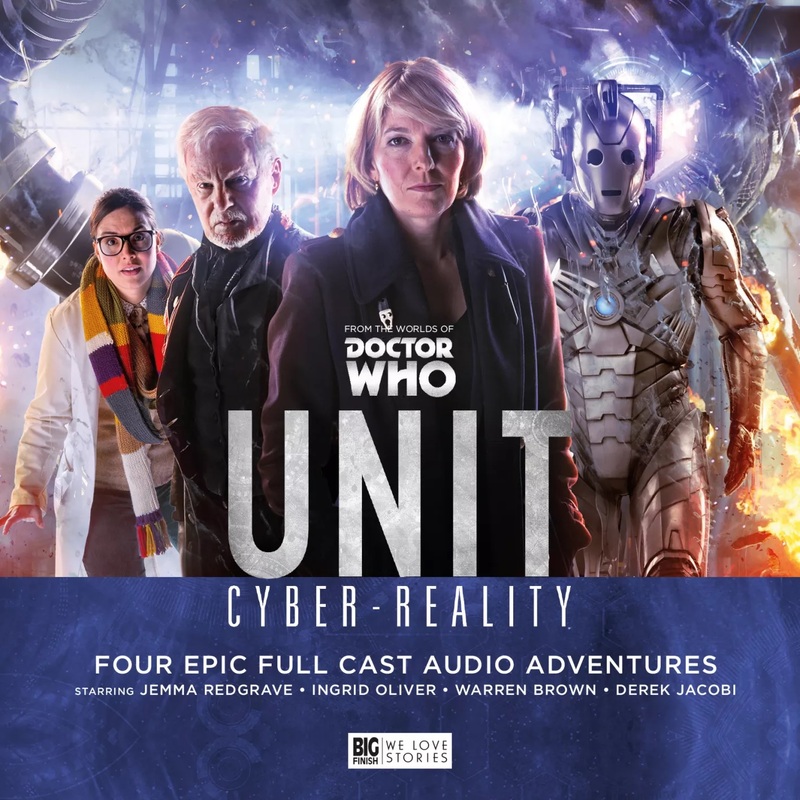 UNIT: Cyber-Reality is out now from Big Finish, priced £30 as a CD or £25 as a download.